A decade since the smartphone revolution kicked into gear, battery life is still the bane of the industry. But Huawei's latest breakthrough may have moved the goalposts slightly – and it's all down to graphene. The buzz-building super-material, made of pure carbon in sheets a single atom thick, has been used by The Watt Laboratory (under Huawei's Central Research Institute) to allow lithium ion batteries to run at hotter temperatures at 60°C - roughly 10°C hotter than standard batteries. Not only does this prolong the lifespan of the power pack, it also gives it the potential to hold charge for twice as long. 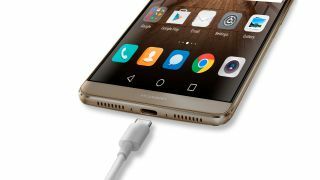 If it's viable to make the batteries at scale, it'll be a great boon for Huawei's increasingly-impressive phone lineup. While the company hasn't announced any consumer devices that will be employing the new battery system, it'll be interesting to see if next year's giant mobile phone show, MWC, offers a glimpse of the breakthrough in action. Which phone has the best battery life in 2016?